The square wood pieces of a Scrabble game can be reused in a variety of craft projects. Decoupage special images to them to create unique earrings. 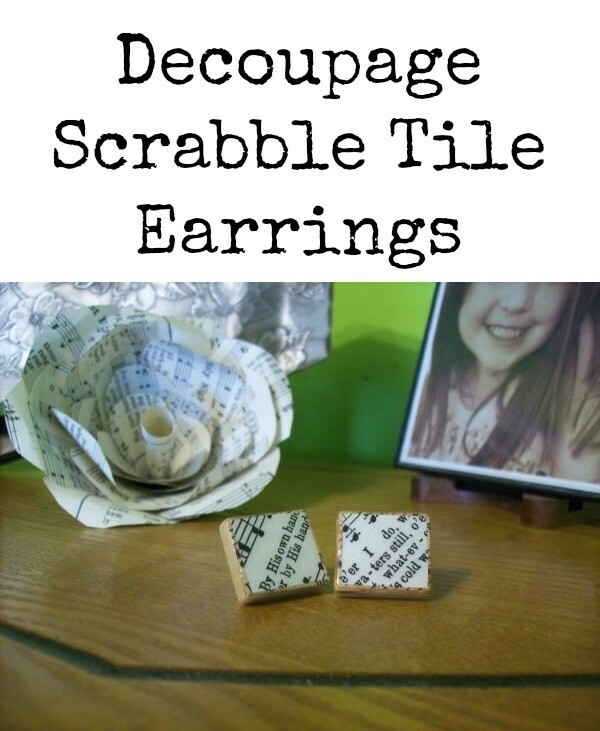 This guide is about decoupage Scrabble tile earrings. Earrings are easy and unique when made out of Scrabble tiles. Approximate Time: A few minutes here, a few minutes there. Clean the tile if needed. Glue the earring post to the letter side of the tile. Allow for appropriate drying time according to glue directions. Fix papers, cut to size, on the tiles the way you want them with a light coating of Mod Podge. Let dry a few minutes. Now coat the the front and sides of tile with Mod Podge. I use the glossy kind. Let dry and repeat with as many coats as you want. A cool and original idea, thanks for posting. I love thinking of other ways to decorate these tiles. Possibilities are endless. 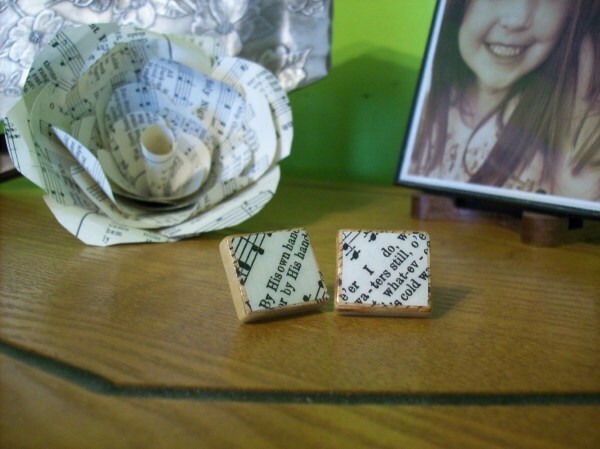 I would love to attach earring back to back side of tile and use them as initial earrings. If u want just square tile shapes use a piece of cardboard chip or foam core board. Use letter tiles to create name or word art . Little squares are easy to come by but scrabble letters not so.